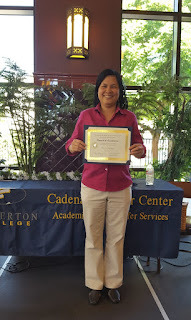 In May 2016, the Asian Pacific Islander Faculty & Staff Association presented our award to Thu Nguyen in recognition for her leadership and academic performance At the School of Continuing Education, Thu completed the ESL Academic Success Program and advanced to Fullerton College. Her many activities include being a student representative for the School of Continuing Education Academic Budget Committee. She has also served on the Provost’s Cabinet, the Western Association of Schools and Colleges Accreditation Committee, and the North Orange County Community College Innovation Fund Committee for the School of Continuing Education. Thu volunteers for the Fullerton College Foundation at its fund-raising events. 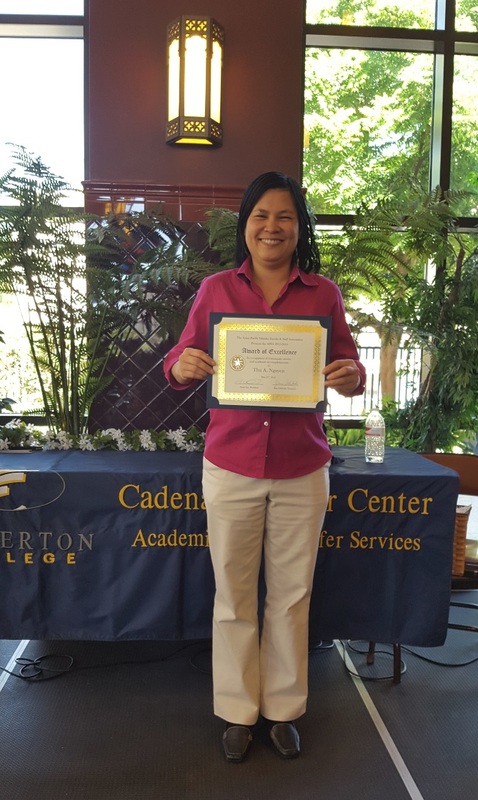 In addition, she works as an accounting technician for the Anaheim School of Continuing Education. Thu was accepted to CSUF and will be earning a Bachelor’s degree in Finance and Accounting.